Eric Tscherne is a mega-designer; the man behind dozens of Hot Wheels – and other – brands of diecast cars has been penning his way into projects as varied and far-reaching as his imagination could take him. 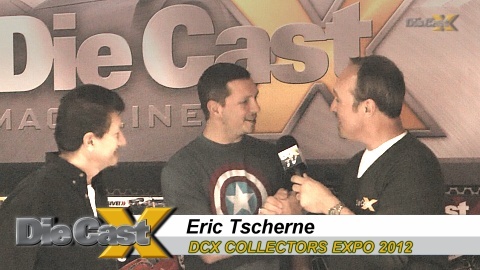 As we found out during this interview, shot at the DCX Collectors Expo this past week, that’s pretty far! Look for his latest collaboration on the book store shelves soon; keep an eye out for even more Tscherne designS in the months ahead. NEXT UP: Collector / Author Kevin Peron!